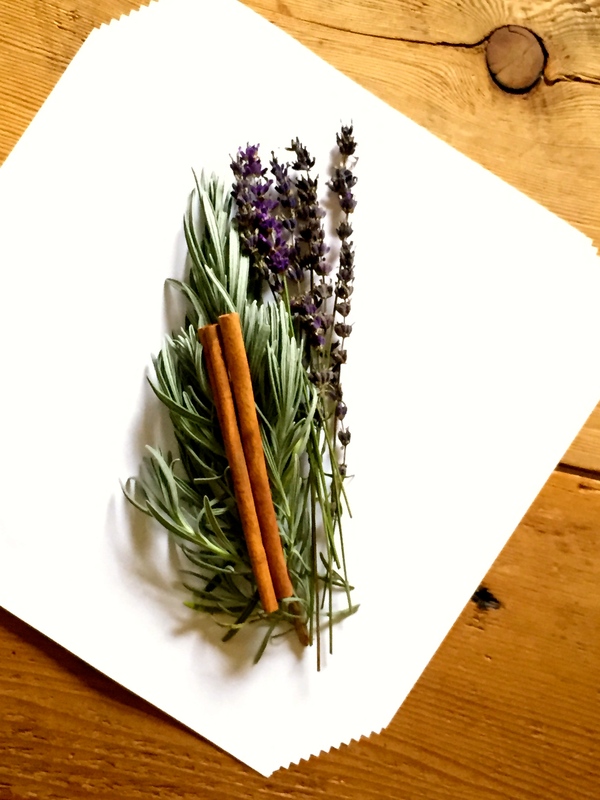 So I know if you’re a reader of my blog that you’re health conscious and are a fan of things that are organic and natural. However, It is SO incredibly hard at times to find products that actually work and hold up to their “natural” marketing claims. What prompted me to take a deep look at all my beauty products recently is that I was diagnosed with a sunflower seed oil allergy. 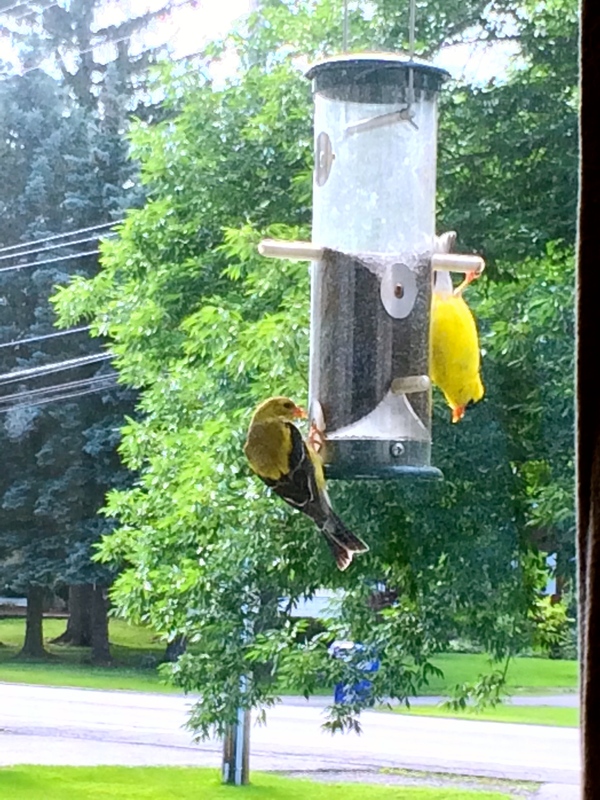 Yep, you heard that right SUNFLOWER seed! Little did I know that the products i’d been using everyday were causing me to get little itchy bumps all over my skin; no skin surface was exempt! These bumps are what prompted me to see an allergist in the first place which lead me to that surprising diagnosis. 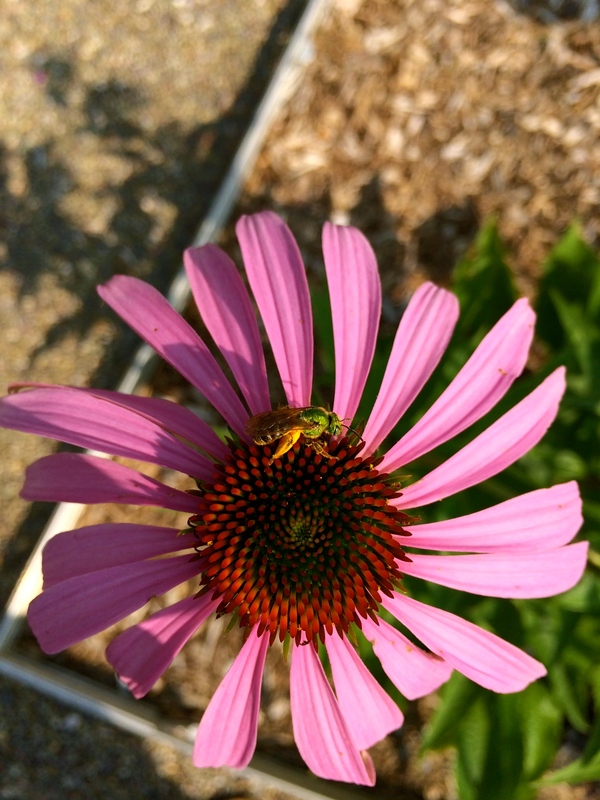 Anywho, to make a long story short nearly every product I owned contained sunflower seed oil aka Helianthus annuus. Let me tell ya, my mom made out on this allergy ordeal, she proudly inherited a boatload of skin, beauty and hair products….now I hope to heck she’s not allergic! 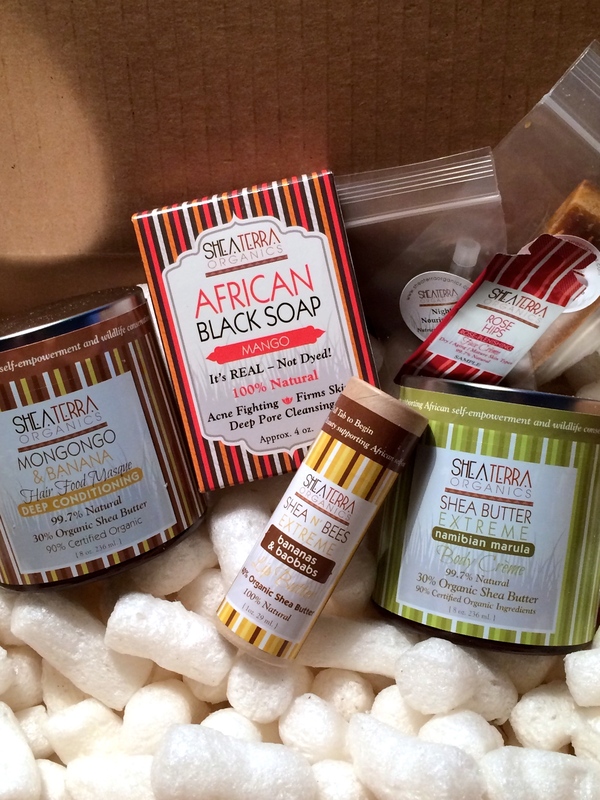 This company makes amazing and effective 99.7-100% ALL NATURAL products they also provide much needed jobs to communities in areas where their ingredients are sourced (such as Africa). The company also provides interest free loans to women living in those marginalized areas. So not only are you getting an amazing smelling, all natural, wonderfully effective products you’re also inadvertently supporting those in need! Win win! A small portion of what SheaTerra has to offer. My favorite product is the Shea Butter Extreme Body Cream. It is incredibly versatile and not your average body cream. SheaTerra offers many choices in scents such as mango, pineapple, white chocolate, guava pomegranate just to name a few. 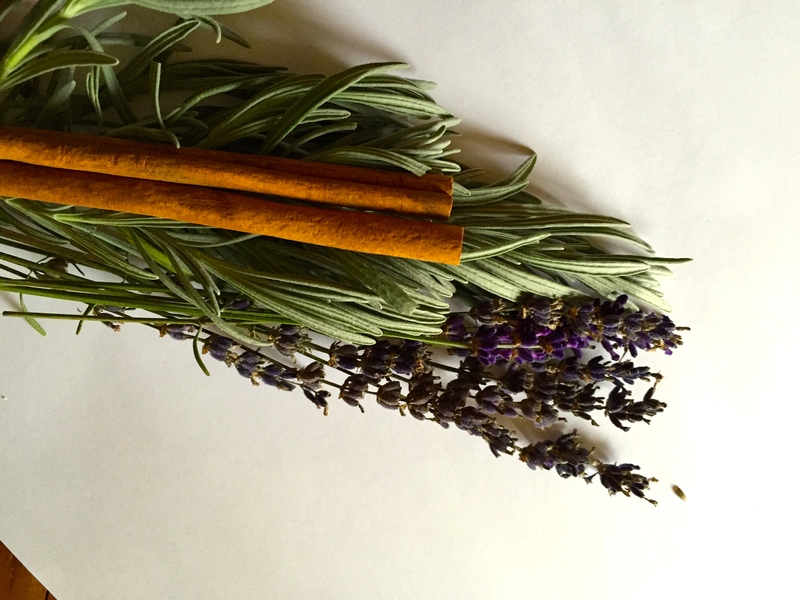 All these scents are natural too, no fragrance, just pure simple natural scent. I use this product mostly for my cracked dry hands in the winter months. One application before bedtime and I wake up with soft nearly crack free hands!! My husband even used it once and commented on how awesome his hands felt. Secondly, I love baths and I take about a tablespoon of this body cream and lightly rub it on my hands then put my hands beneath the stream of water thats filling to tub to add scent and moisture to my baths (it also creates a little bubble bath effect). This would be perfect to add to your little ones bath time regimen as childrens skin lacks an effective moisture barrier until about 5-6 years of age 🙂 A third way to use this body cream is to use it as a hair masque. Just take a scoopful and smooth it through your hair prior to shampooing, then shampoo as normal. Your hair will be shiny and soft due to the massive amount of shea butter in the product. I can’t express enough how incredibly fond I am of SheaTerras products and mission, Im pretty certain these are the only body care products i’ll ever be buying. Please SheaTerra, never go out of business, I love you! Ok, now seriously ladies (and gentlemen too) check them out for yourself. 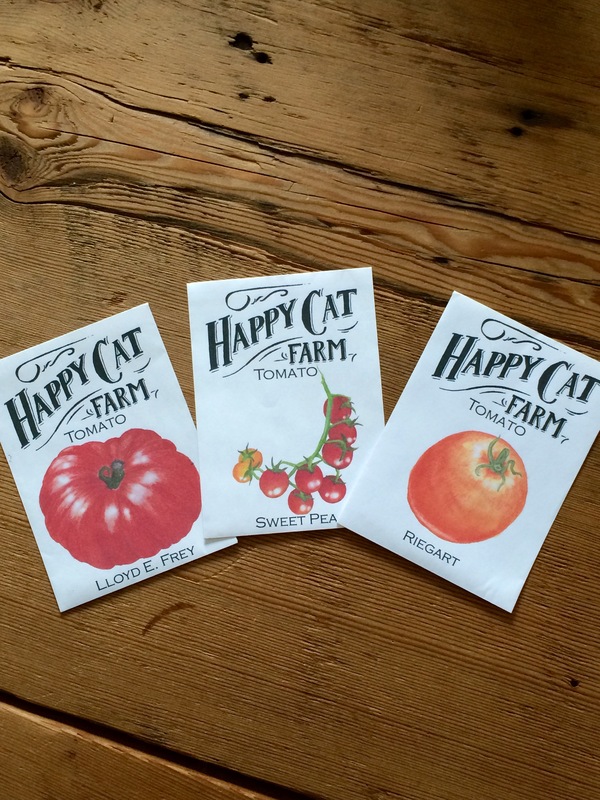 Since our garden is fairly small, these are the varieties I’ve chosen. 1. The Lloyd E. Frey– This is a great tomato for slicing. 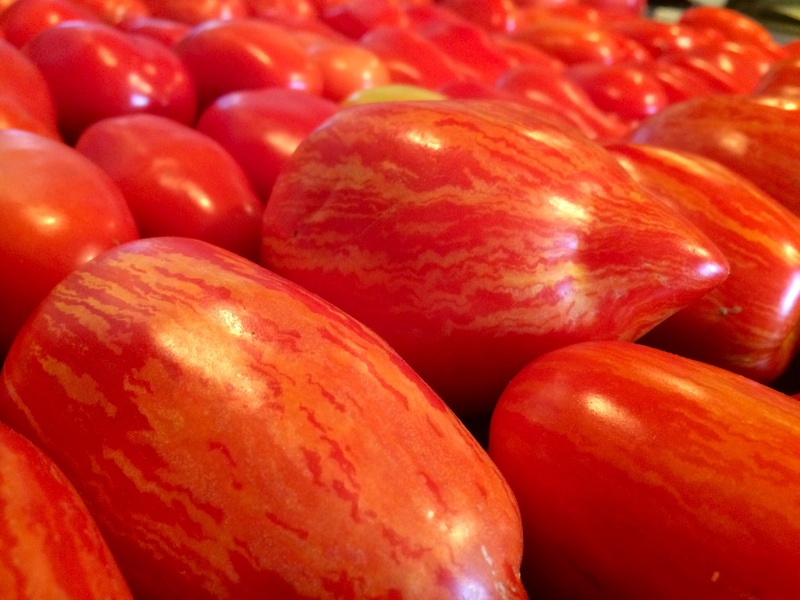 If you love beefsteak tomatoes, you’re guaranteed to fall in love with the flavor, texture and juiciness of this fella! 3. Reigart– These medium sized tomatoes are GREAT for freezing and canning. Yes, you can freeze tomatoes and let me tell you, they are awesome to use in soups, stews, curries and sauces when you’re craving the flavor of freshness over the long winter months. In addition to the awesome tomatoes, I’m also pretty excited about these peppers. I’ve never planted the Corno Di Toro Rosso peppers but have heard they are a great and sweeter alternative to bells, especially great for pan frying due to the thinner skin. Each year my husband and I plant Shishito Peppers. OMG are they amazing! 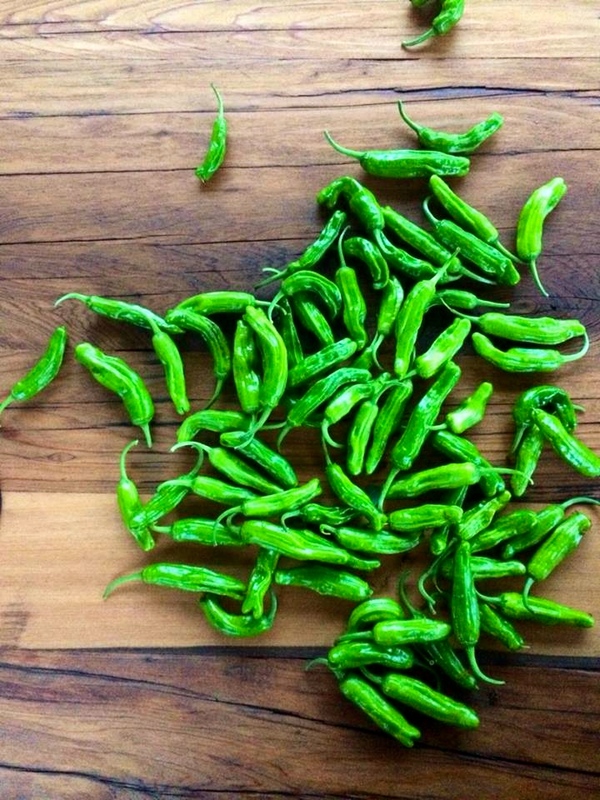 They are tiny little peppers that when simply sautéed in butter with salt are the most amazing little treat you can have. They are a sweet, slightly smokey, very mild pepper that grows amazingly well and produces a significant yield when pruned properly. 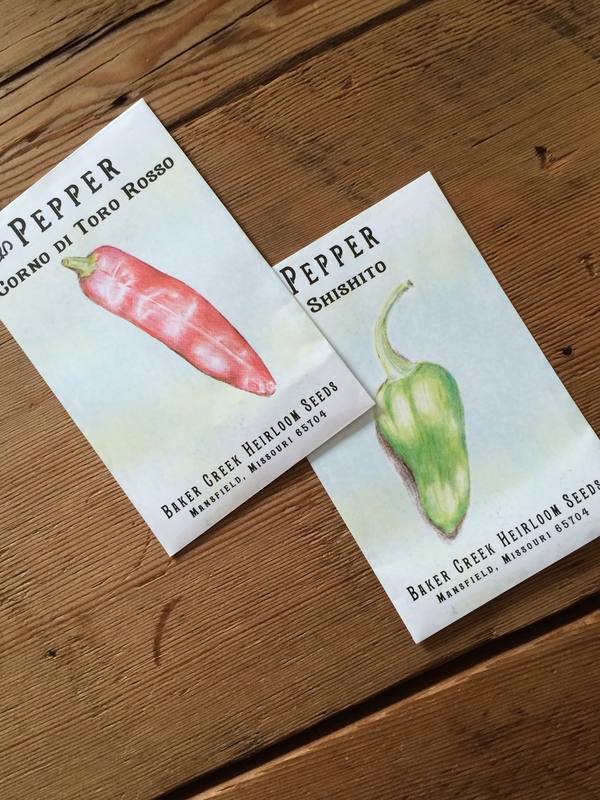 I would recommend these to anyone who loves a good pepper, even just one plant can give you a good amount to enjoy. 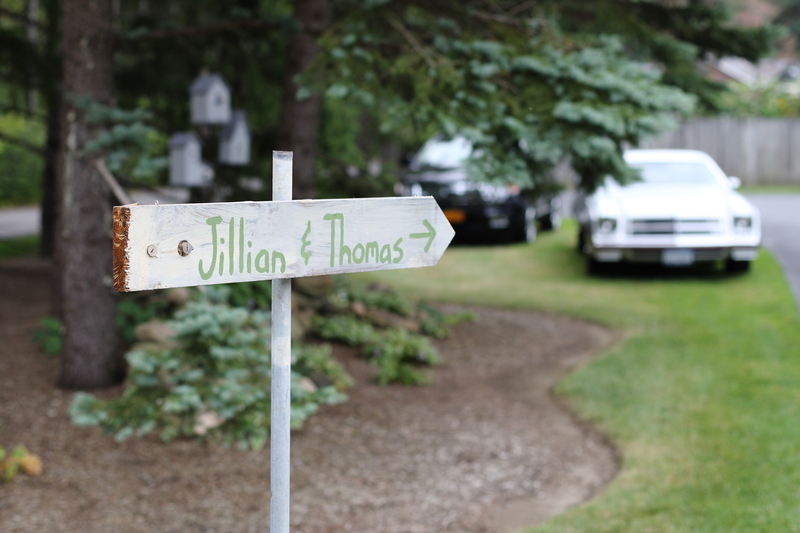 Lastly, my very talented sister in law made my husband and I these really unique garden markers for christmas. 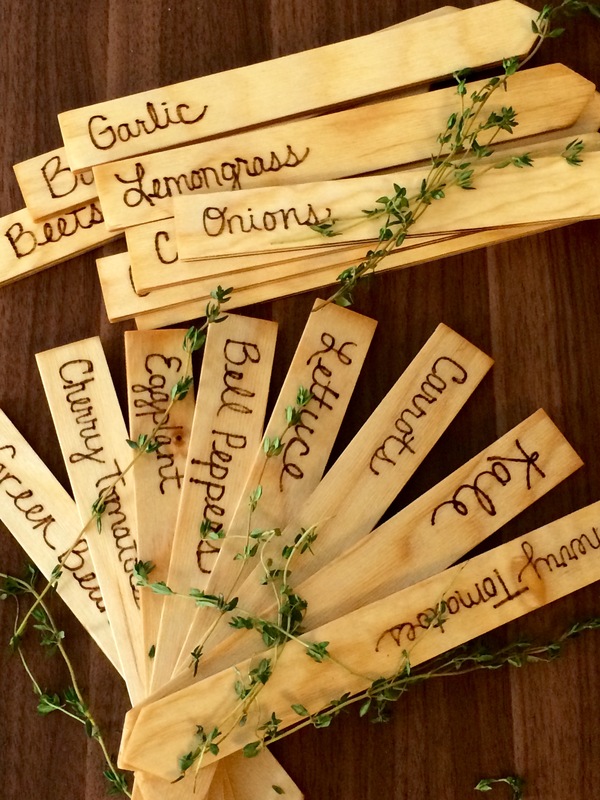 She hand fire etched each name of the plant onto the wood and soaked them in linseed oil to help seal and protect. This is such a great idea that will add a great look to our garden, and the smell of the linseed oil will deter little critters from the plants 🙂 Win win! Fall here is alive and well and soon enough were going to have LOTS of snow as usual. To me this conjures up warm and fuzzy feelings. I love fall, its colors and scents but I really love the first big snowfall! Its so white and beautiful and always brings a smile to my face 🙂 Plus, I LOVE enjoying cozy fires with a good book and a cup of hot cocoa. Ahhh, can’t wait! 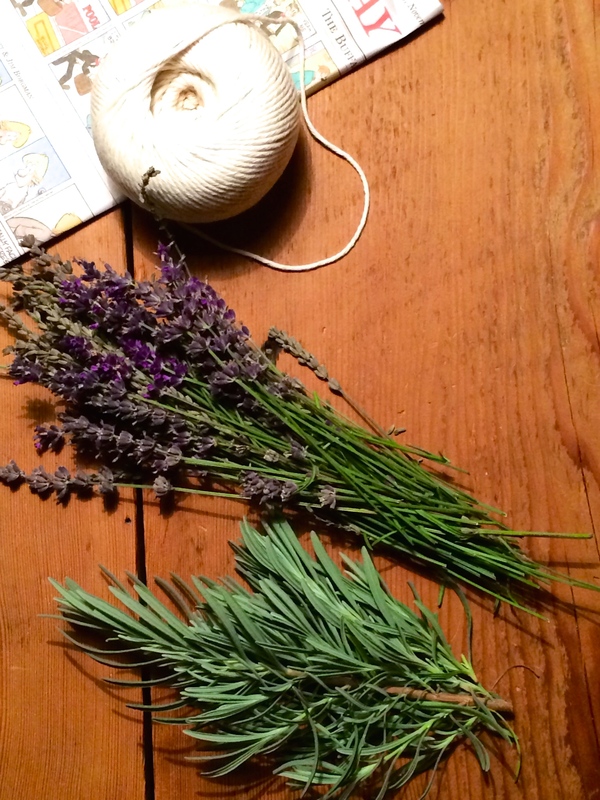 Anywho, this year after trimming my lavender plants in preparation for winter I kept thinking “theres got to be something I can do with the trimmings instead of just throwing them out” wouldn’t you agree? So here it is….fire-sticks! 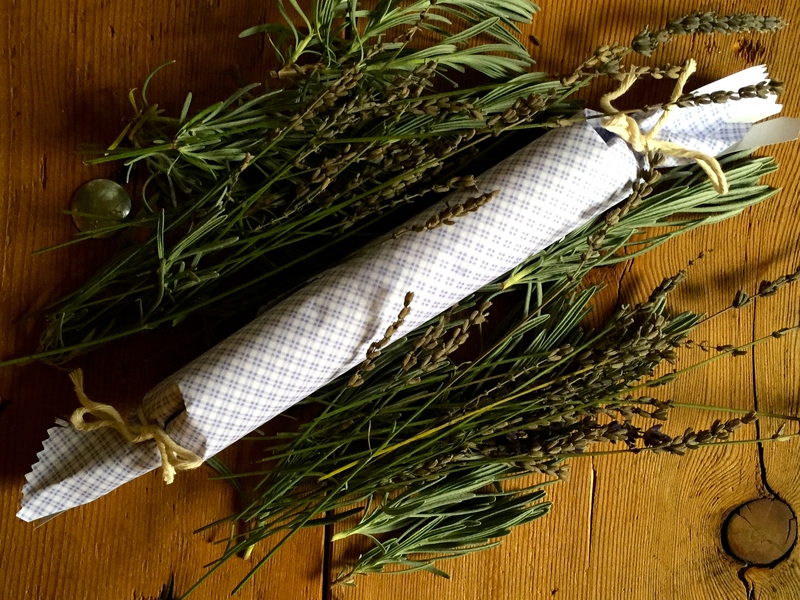 These awesome little bundles smell amazing and will also help in starting a wood burning fire. 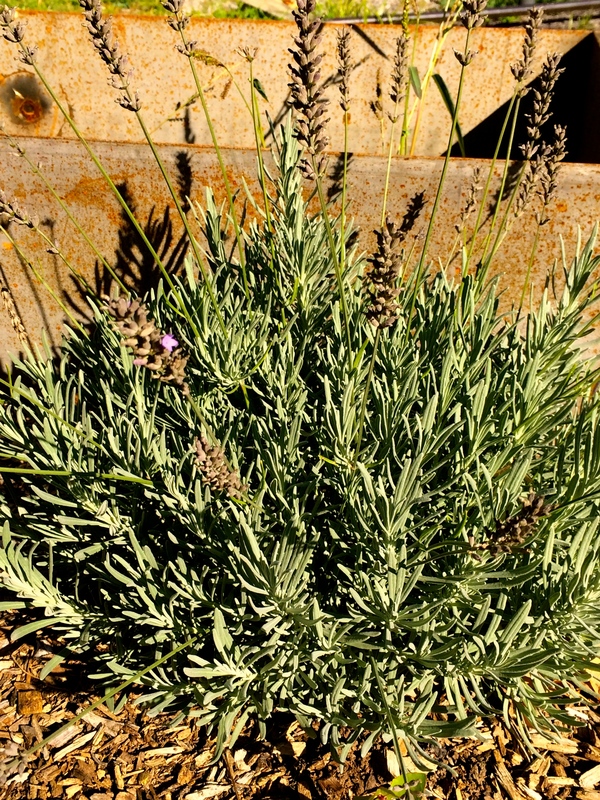 French lavender at the end of season is very dense and woody but still very fragrant, perfect for fire-sticks! 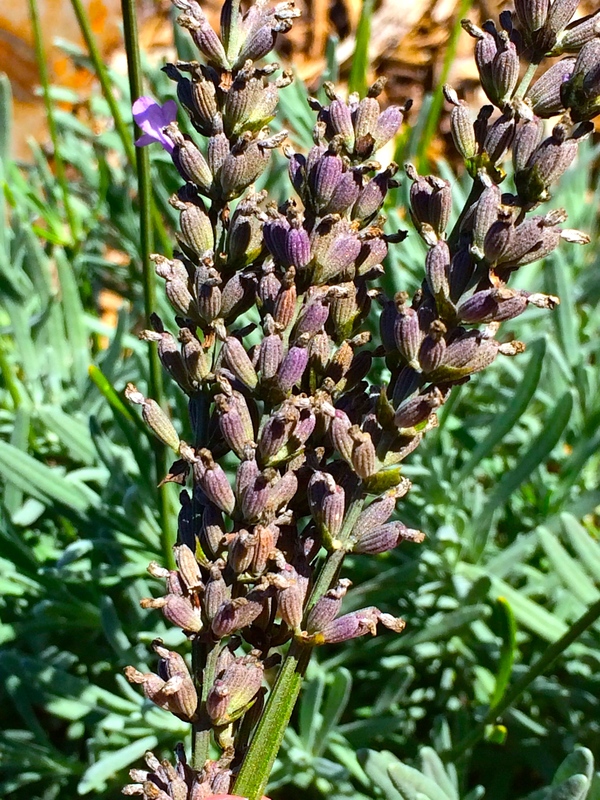 Up close of the dried spent lavender blooms. 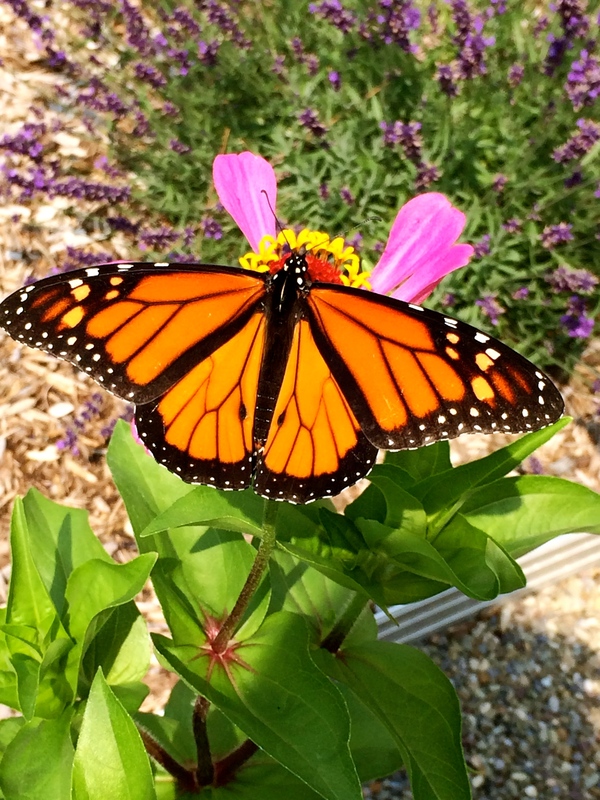 What you should do first is clip as many of the blooms as well as the foliage you desire. One average sized plant will render about 2 dozen fire-sticks. After you’ve gathered all your clippings, you can wash them and leave them out to dry (optional). Just a few of the supplies needed. And it’s always nice to have a helper! 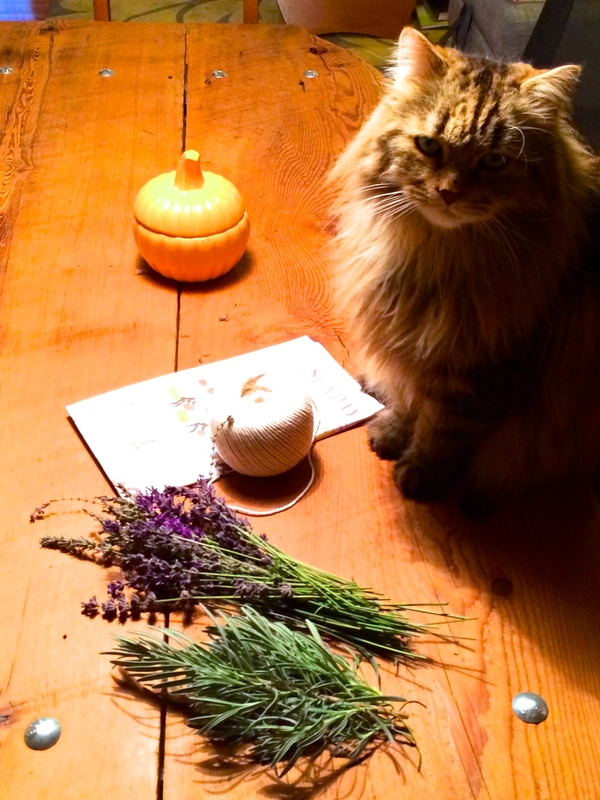 In this case….my cat Feliks insisted he be present for this project! Ha. After you’ve gathered all your supplies cut your paper into squares and cut two twine pieces for each square. To add a little extra “fun” you could used scalloped scissors on the corners of each paper square to create an interesting look. Then place your herb bundle towards the edge of one corner. 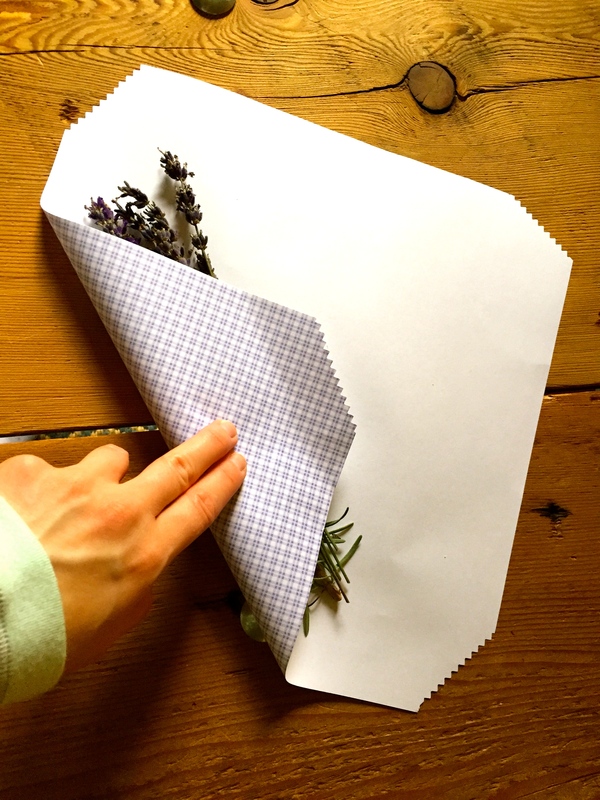 Squared paper with scalloped edges with herb bundle. Now start rolling the paper into a long tube like shape. If your paper is thicker you can secure its closure with a little piece of tape. 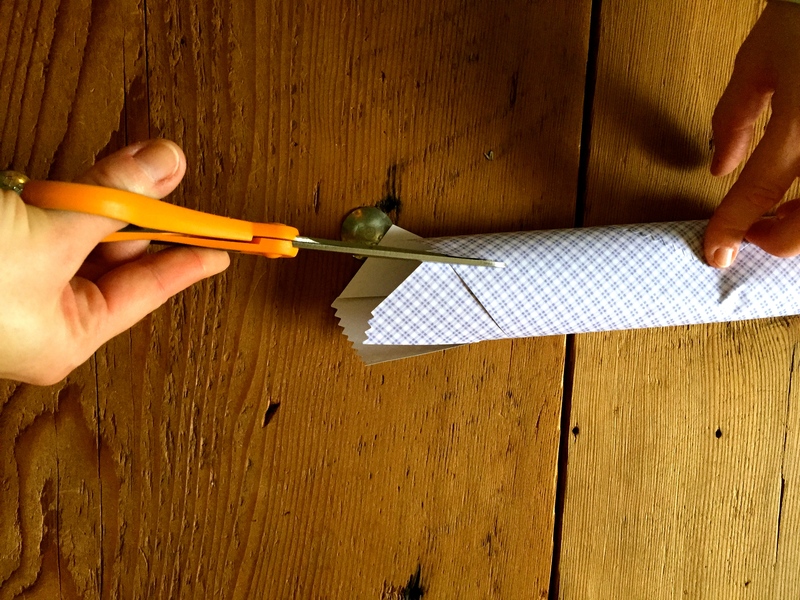 Next, if you’re using thicker paper like I did you’ll have to cut into each end so that when the twine is tied the ends don’t get completely smashed in. If you don’t really care, you can skip this step. Cutting into each end of the bundle. 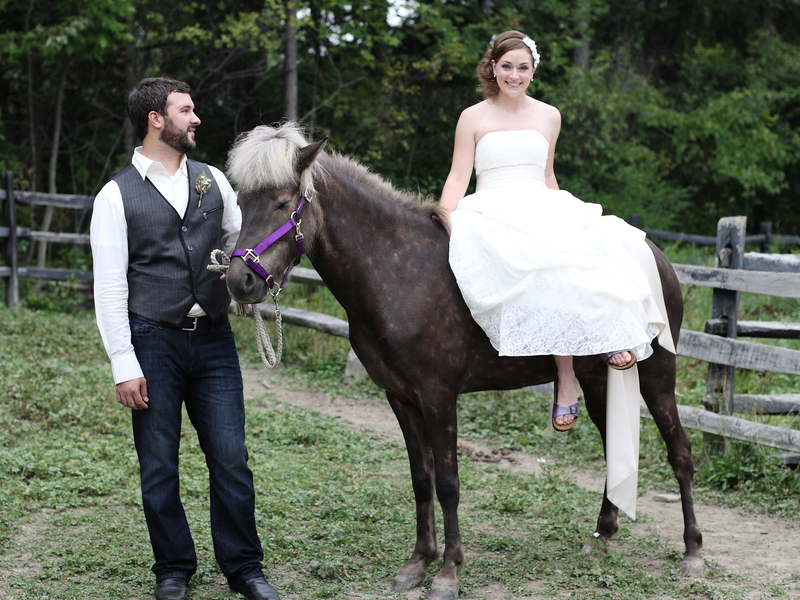 Now tie each end of the bundle off with some twine…..and there you have it, you’re done! 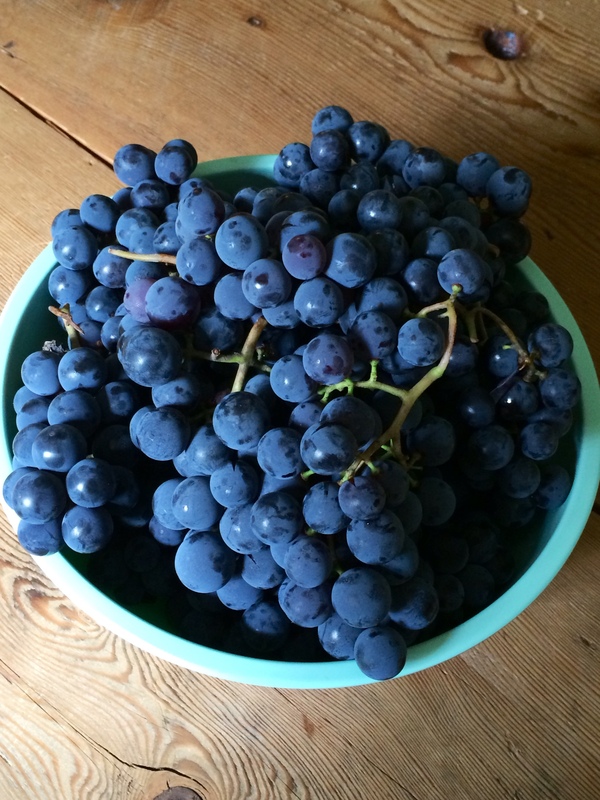 Yummmm, have you ever smelled fresh concord grapes?! The smell is just amazing. 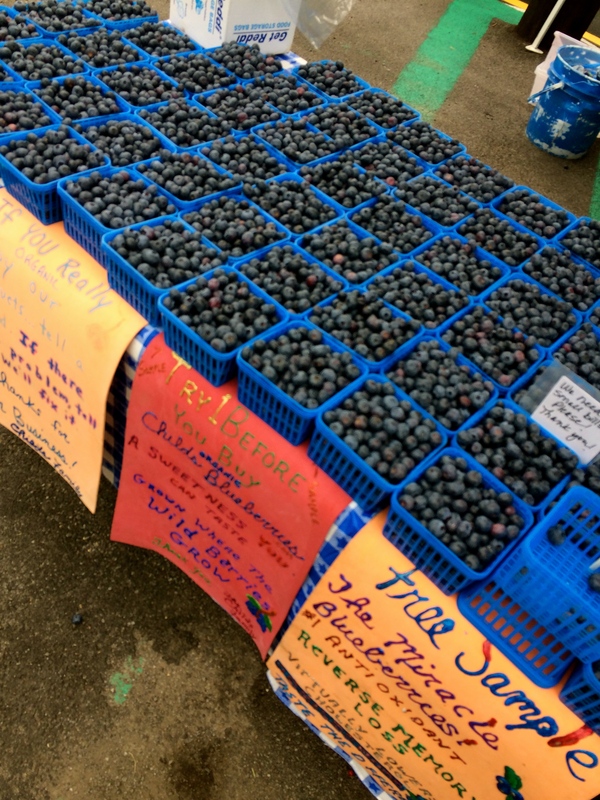 So when my husband and I were at a local farmers market this past week I just could not pass up getting some fresh and delicious concord grapes. Of course the first thing I thought of making was a fantastic jam 🙂 Heres the recipe! 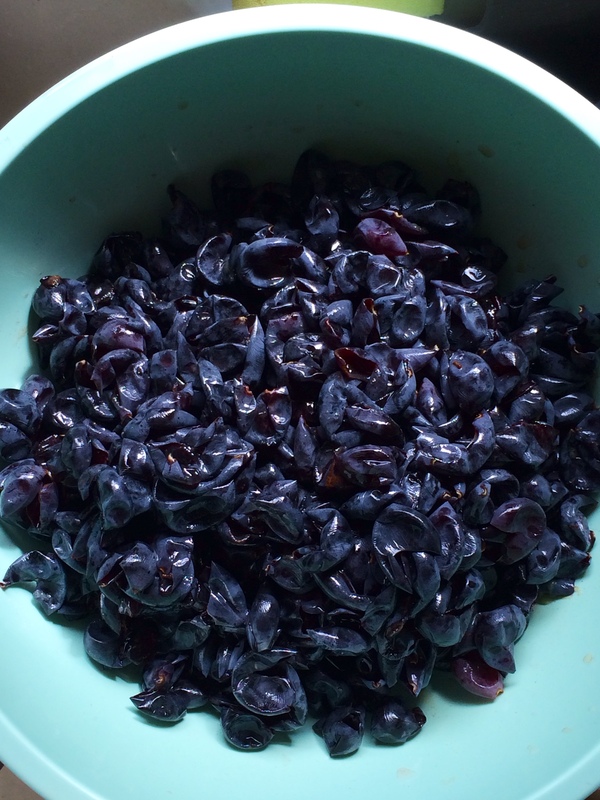 Cover the grapes (not the skins) in about 1/3 cup of water and boil for 5 minutes. 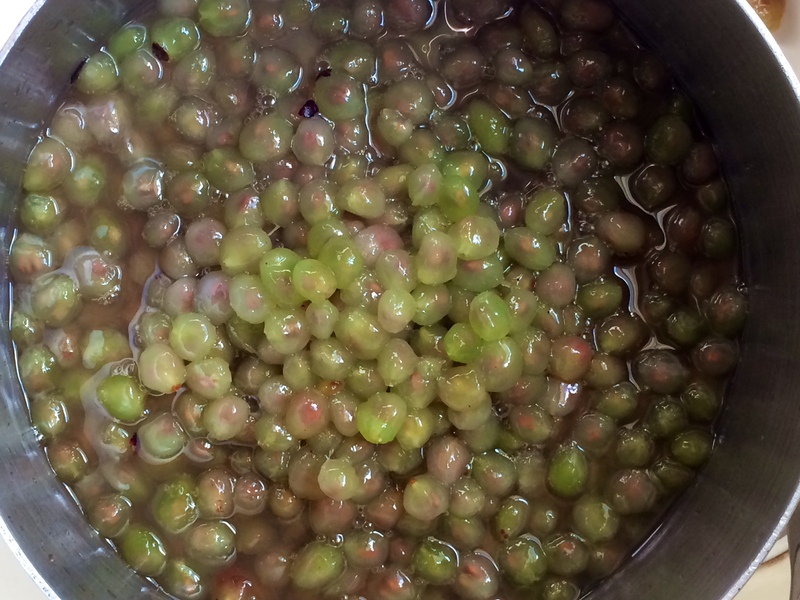 Mash the boiled grapes through a sieve so the meat and juice of the grape separate from the seeds. 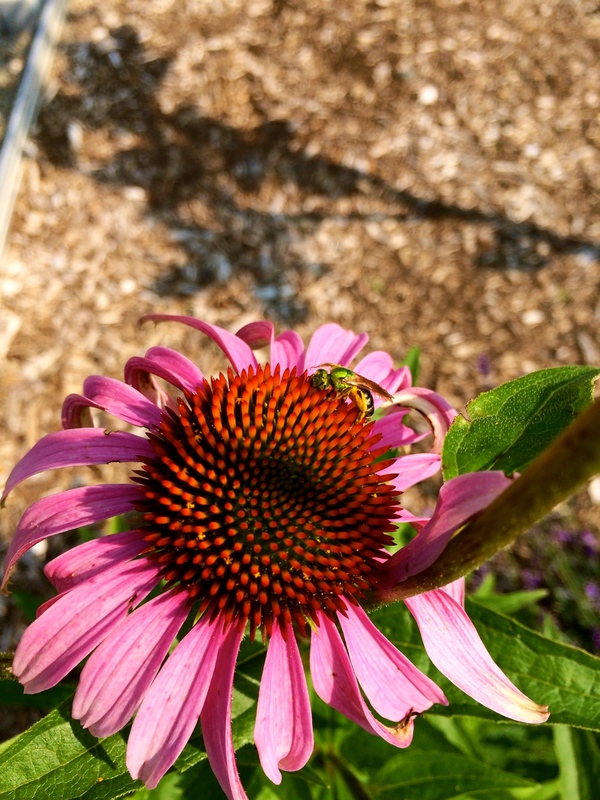 Toss seeds when you’re all finished. 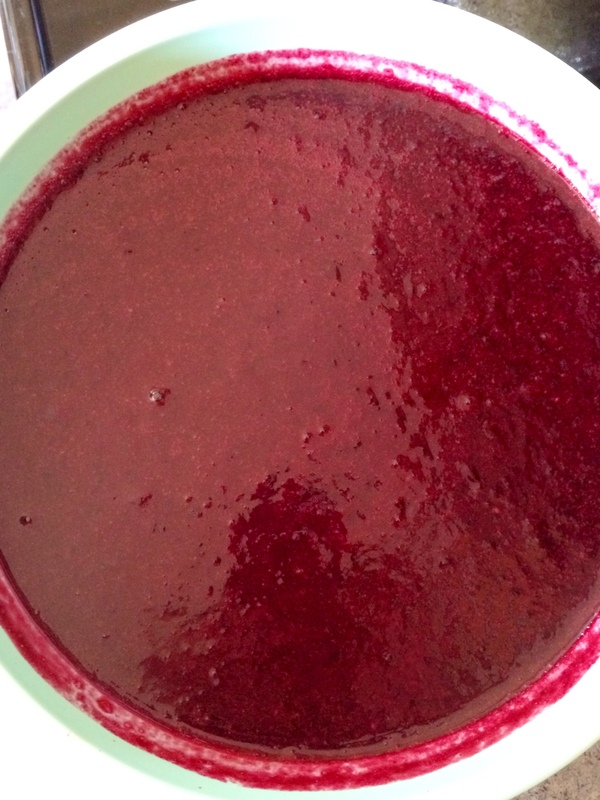 So you have your grape juice, your sugar/pectin mix and your skin puree, right? 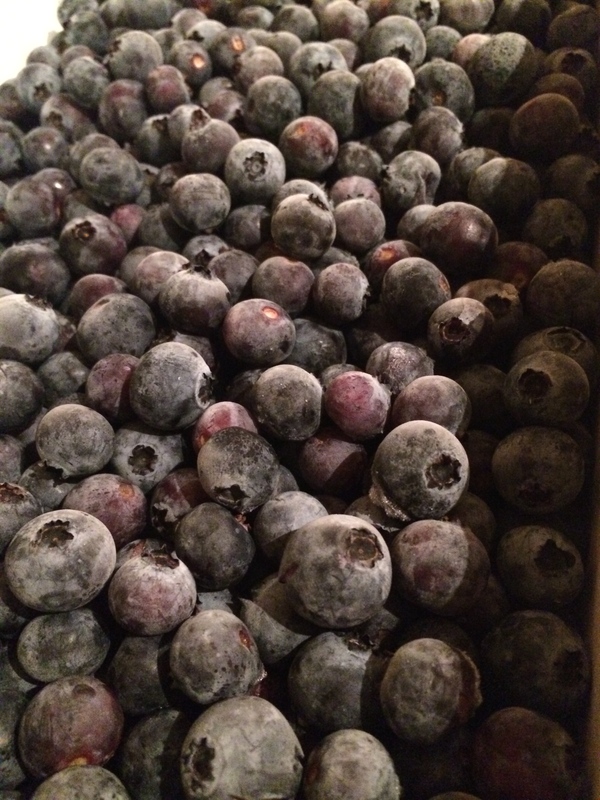 Ok…so now mix them all together and place into freezer jars. Let them cool a bit before putting the caps on, otherwise pressure will blow them right off…no one wants exploding grape jam all over the place right?! And there you have it friends….concord grape jam ready to freeze 🙂 Enjoy! I LOVE tomatoes and luckily this year we got a really great yield from our garden! We planted san marzanos, striped romans, and blueberry tomatoes (seriously a variety you must try if you love sweet goodness)! This year my husband decided to can a simple sauce instead of making something fancier. It made more sense to do something simple that we could open and add stuff to as we used it. He also froze the san marzanos whole and as a result we had a bunch of skins leftover. This got me thinking…what could we do with the skins? Well, read on to find out! A mix of our san marzano and striped roman yield. So what did I do? 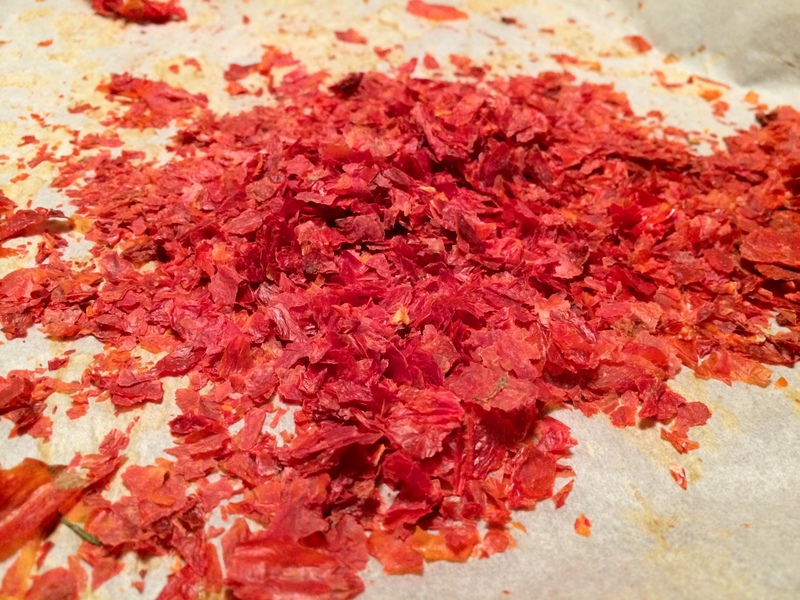 I dried them and made tomato flakes! These flakes add a deep, earthy and sweet flavor to anything they are sprinkled on. 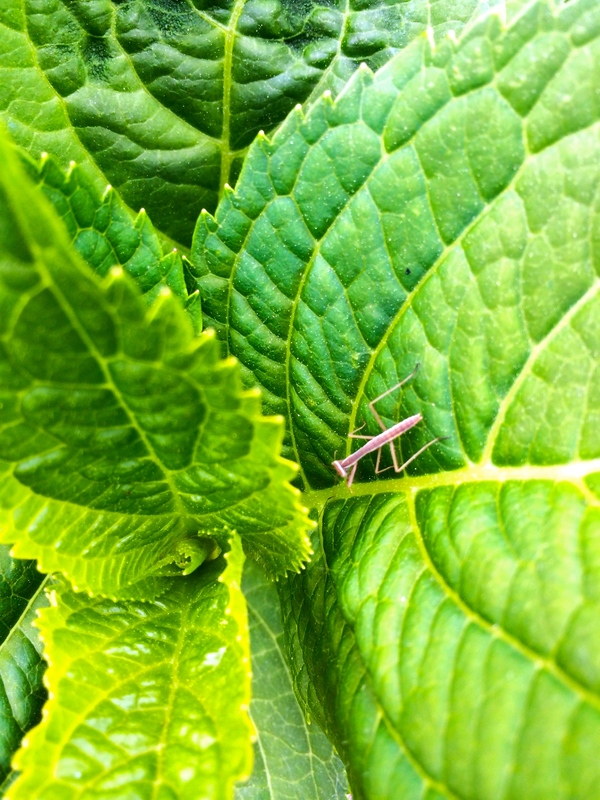 I’ve heard they taste amazing on ice cream adding a subtle sweetness and helping to compliment flavors such as vanilla. Read on for step by step instructions….. Step One: Pre-heat your oven to 220 degrees and line a baking sheet with parchment paper. After the sheet is lined place the tomato skins on top. Don’t add anything else just the tomatoes. 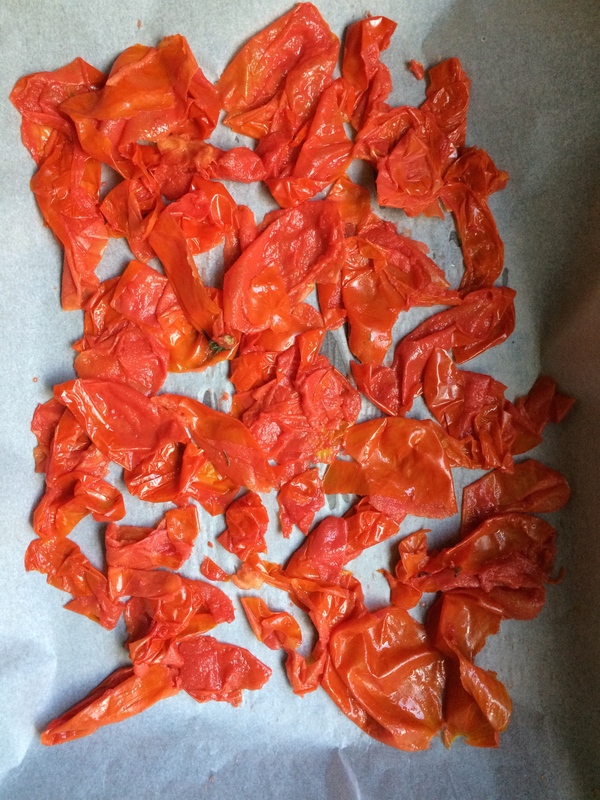 Step Two: Place the tomatoes inside the pre-heated oven and use a dishtowel or oven mitt to prop the oven open to help in the evaporation process. Make sure none of the towel is dangling in the oven otherwise you risk it catching on fire. Keep tomatoes in the oven for a good 90-120min checking the crispness every so often. Step Three: Take out the tomatoes 🙂 When the tomatoes are done they will be very crispy and crumble to the touch. Taste one, you’ll be surprised at the sweetness! 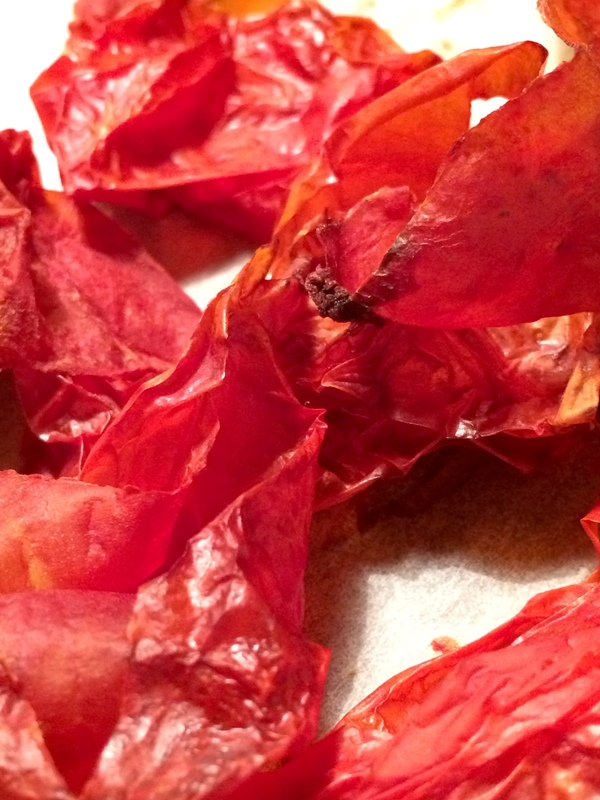 Crisp and crumbly tomato skins. Step Four: Crumble!!! This can get messy…but its fun. You can put gloves on if you don’t want tomato crumble all over your hands. If you want the flakes to be more like a powder you can put them in a food processor to your desired consistency. 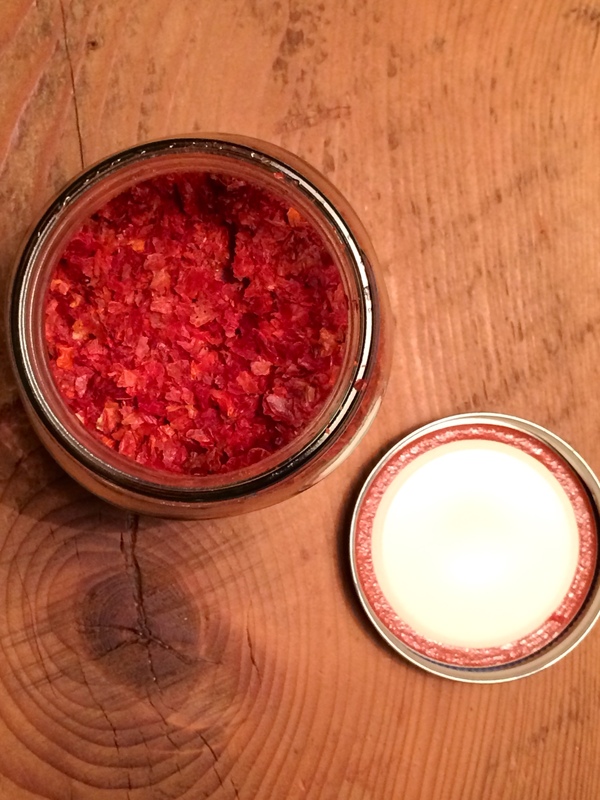 Finished tomato flakes in a simple canning jar. Thats all, till next time….! Drab Bathroom? Spruce It Up! The bathroom is my least favorite room in our house. Its old, small and generally blah. However, it’s visited often and is the one room in the house that you can be sure guests will visit, so of course you want it to look nice. So what can you do aside from a full remodel to spruce things up and make it more interesting and aesthetically pleasing? 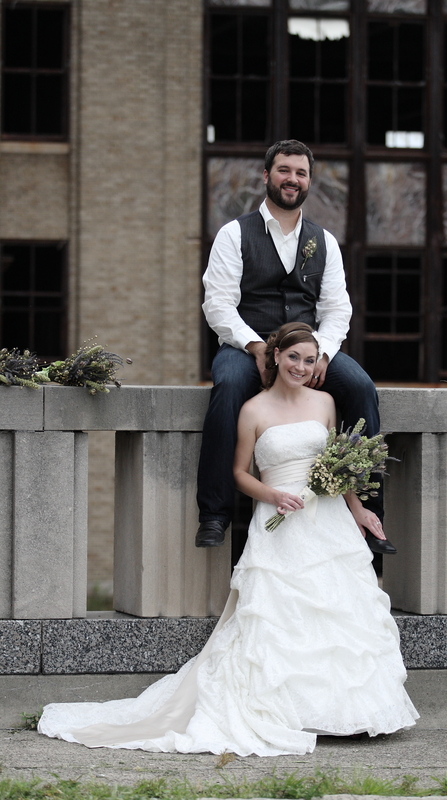 Heres what I did…..
1. Add a punch of color and pattern! It visually draws interest and focuses attention away from the rooms less than desirable features. 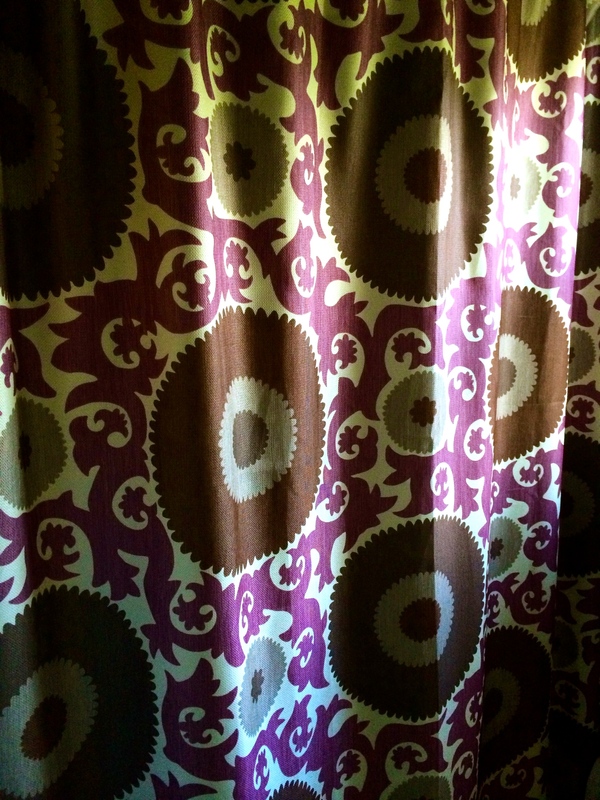 This is my funky little shower curtain. 2. Add an interesting plant. Plants do a wonderful job of purifying the air and in addition usually do really well in bathrooms because of the amount of humidity they get everyday. 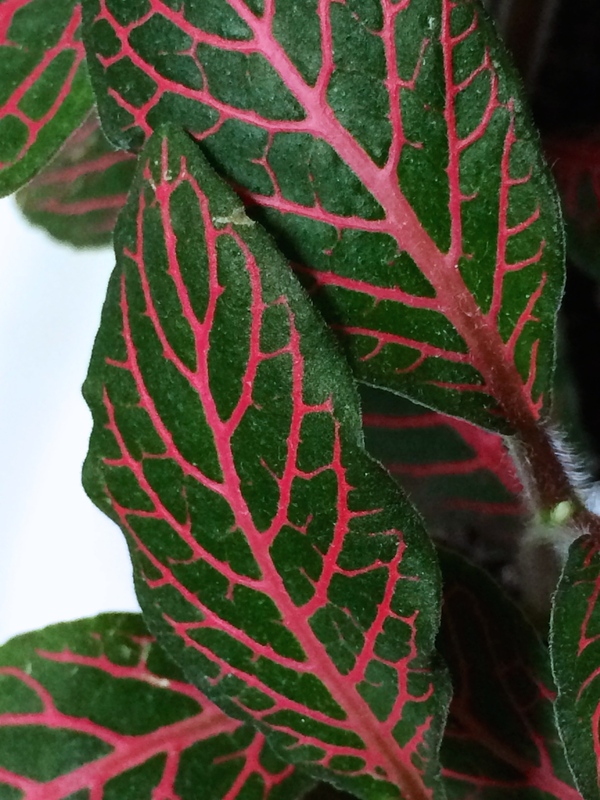 I have a Fittonia plant otherwise known as “the nerve plant” due to its leaves that resemble the human bodies network of branching nerves. Considering I’m in the medical field, this plant is perfectly appropriate 🙂 In addition, it is a humidity and water hog and thrives in the bathroom environment with indirect light. 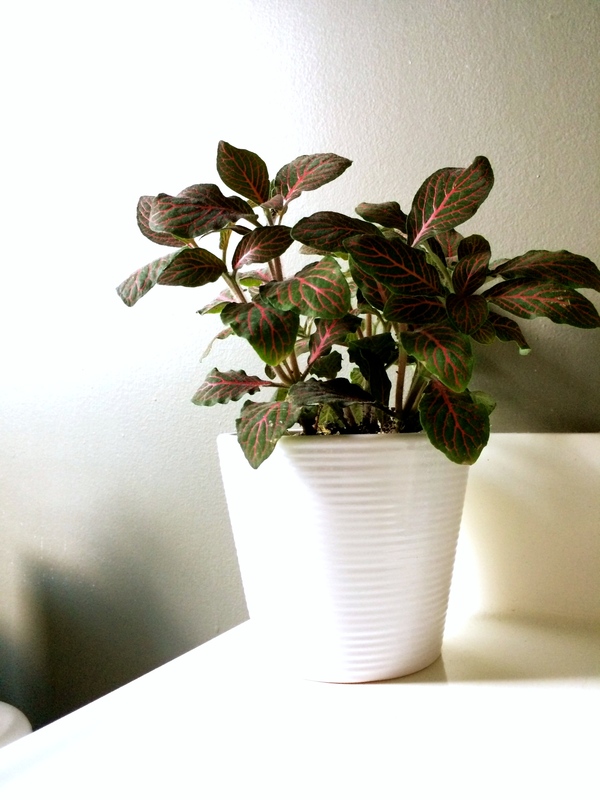 My little Fittonia happily thriving on the bathroom countertop. Close up of the “nerves”. How cool are these leaves?! 3. Add something unique. It can be a picture you took yourself of something you love. An interesting book. 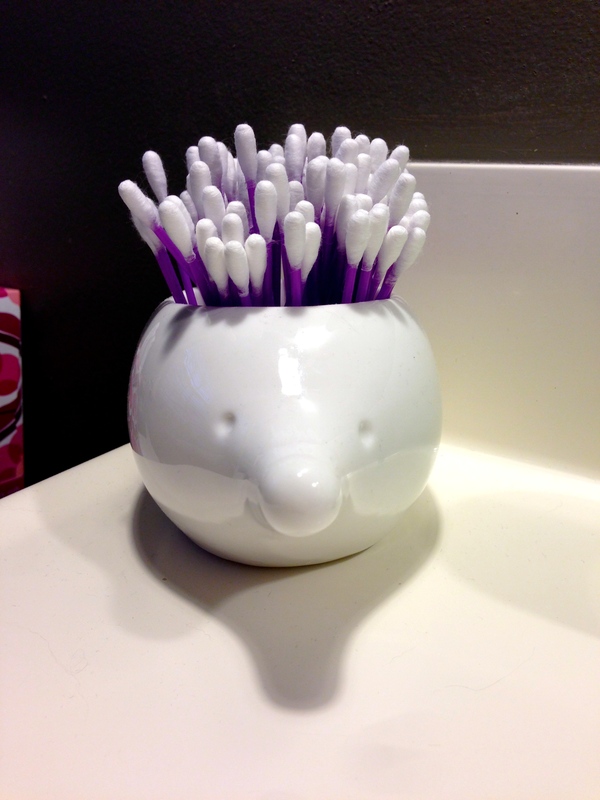 A relic you’ve picked up on a trip, or just something fun like this q-tip holder I picked up on a recent trip to Philadelphia. I crack up every time I look at this hedgehog. 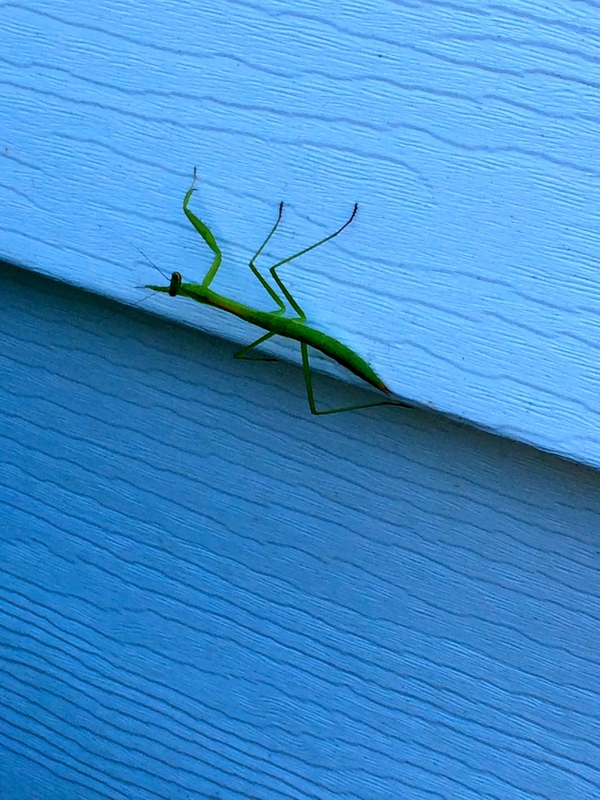 I think it’s so adorably cute! 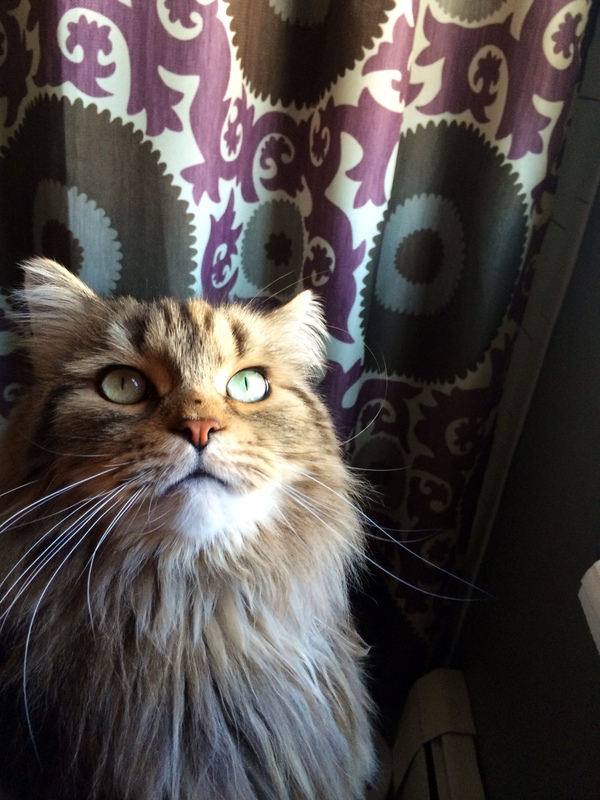 Our Siberian cat Feliks. Isn’t he handsome?